The Centre for Independent Studies is delighted to announce that Chairman of the Australian Competition and Consumer Commission (ACCC) – Rod Sims – will be joining us for an exclusive event. Mr Sims joins us to speak about the cutting topic of Getting Privatisation Right. 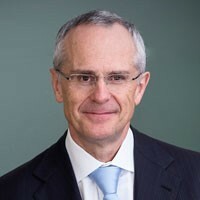 Prior to his appointment to the ACCC, he was the Chairman of the Independent Pricing and Regulatory Tribunal of New South Wales, Commissioner on the National Competition Council, Chairman of InfraCo Asia, Director of Ingeus Limited, and member of the Research and Policy Council of the Committee for Economic Development of Australia. He was also a Director of Port Jackson’s Partners Limited where he advised the CEOs and Boards of some of Australia’s top 50 companies on commercial corporate strategy over many years. Mr Sims relinquished all of these roles on becoming Chairman of the ACCC. Mr Sims is also a past Chairman of the NSW Rail Infrastructure Corporation and the State Rail Authority and has been a Director of a number of private sector companies. During the late 1980s and early 1990s, he worked as the Deputy Secretary in the Commonwealth Department of Prime Minister and Cabinet responsible for economic, infrastructure and social policy and the Cabinet Office. He also worked as Deputy Secretary in the Department of Transport and Communications.